Technology has come a long way in digitizing customs procedures, however, in today’s global trade environment, risks still remain if electronic declarations aren’t filled out completely, accurately, and plausibly. Any of these pitfalls can increase costs and hamper productivity—and simply, interrupt the flow of goods. The commercial invoice serves as the basis for the customs declaration for both imports and exports. A thorough description of goods is essential in order to determine proper customs classification. From the importer’s perspective, clear agreements must be made with the supplier. A good’s description is sufficient when information for each item is listed, including purpose for use, material, and characteristics. This can then be attributed to a customs tariff number. It is sensible for the supplier to include the importer’s item number in its invoice. If the attribution is not definitive, false tariff classifications can lead to excessive duties payments. A good customs handling solution will support both ends of the supply chain, streamlining communication, and enabling information to be shared automatically. TIP: Create a database within your customs software for all common items, with master data and the customs tariff numbers to be used respectively. This will save you time in the import and export process. Within the customs classification, a product is classified into the electronic customs tariff and assigned a tariff number. If the goods are declared under the false customs tariff number during import, the customs office will charge only the duties associated with the specified code number. False tariff classifications are particularly tricky because the customs office rarely inspects the goods themselves. The inspection rate is generally about 1.5 percent, so errors in customs declarations can remain undiscovered for many years. And, while it’s possible to get a refund for excess duties paid if the customs office examines the characteristics of the goods, it could just as easily result in additional payments. Moreover, depending on the country, action can be enforced for up to three to ten years after the item has been shipped. It is far better to get the classification right the first time. TIP: Avoid subsequent payments and excessive duty payments by regularly updating your master data. Incoterms: Missing invoice information on the agreed terms of delivery is one of the most frequent reasons for questions and delays. Number of items: Customs declarations with missing or false information on the number of items are instantly rejected by the customs authorities. Your customs software should have the ability to check the information entered and trigger an alert if it is found to be incorrect. In the process, for example, the indicated number of pieces in combination with the weight serves as the basis for automated plausibility checks. Accordingly, a shipment weight of 1.536 kilograms does not match a quantity of 100 notebooks. To eliminate this simple error, the quantity of items should always be specified on the commercial invoice, even if this is not always required. Total price: The total price is shown on the invoice so one can check the completeness of multi-page documents, and organizations must specify the currency in which the invoice was issued. Customs value for goods delivered for free: Since no transaction value is available for these items, alternative methods for the customs value calculation must be used. Customs value calculation methods are subject to firm rules and can vary between countries. Specifying fictional goods values is not permitted. It is possible for certificates of origin to be declared invalid after the import because the authorities doubt the correctness of the goods origin. Without a valid certificate of origin, penalties may result. Depending on the country of import, different certificates of origin may be required for the same product and different rules for the re-export may apply. TIP: Leverage customs software to harmonize the customs regimes of multiple countries into a single output. According to the Union Customs Code (UCC) for the EU, all participants in the export of any goods are deemed duty debtors for as long as the import information has not been submitted, or until the goods leave the EU again. False preference certificates, therefore, and indirect participation in tax evasion or minor tax fraud, can be considered under criminal law or regulations that can lead to administrative fines. TIP: When supply chains become more complex, you can become an accomplice more quickly than you would think. Because of this, automated plausibility checks are essential to help ensure you remain compliant with local customs authorities. The reality is that customs pitfalls lurk in many different forms when importing or exporting goods, and sometimes these issues become apparent only after months or even years. It’s vital to check your processes for their sustainability. A best-of-breed, multi-country customs management software solution can help maintain compliance with customs and security regulations around the world and remain compliant for years to come. 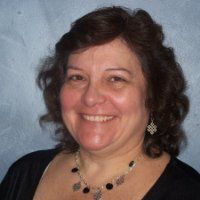 Celeste Catano is Global Product Manager of Customs Management at BluJay Solutions. She has 40 years of experience with the company. Celeste also serves on the Commercial Operations Advisory Committee (COAC), which advises the Department of Homeland Security on the commercial operations of U.S. Customs and Border Protection and related Treasury and DHS functions. She has been co-chair of the Trade Support Network’s Trade Transition Committee since 2001.